The harsh reality about losing weight is that inevitably you will feel hungry from time to time. Hunger is a two edged sword. Hunger is a dieter's enemy, creating temptations to snack. 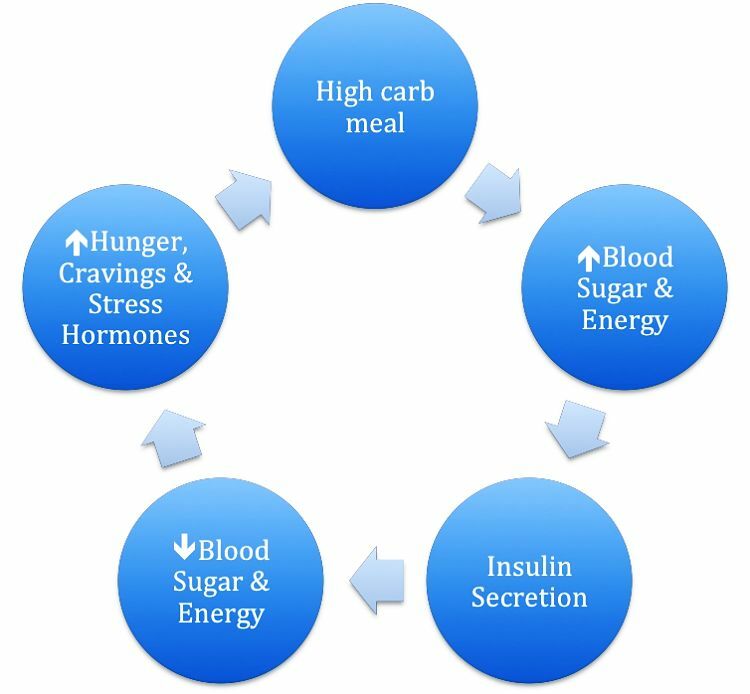 Hunger is a dieter's friend because it is a positive signal that your diet is working (no gain without pain). You cannot lose weight, and keep it off, without having hunger pangs. So dieters need away of dealing with hunger to avoid excess snacking that can kill a diet. There is a group of people who are perpetual snackers - that is they eat when they get bored, tired or need a break. They need to keep something in their stomachs all the time. The need for perpetual snacks can occur for variety of reasons - but if they snack frequently they will overeat and consume excess calories. The answer to both hunger pangs and perpetual snacking and they need to keep something in your stomach is Zero Calorie Snacks. 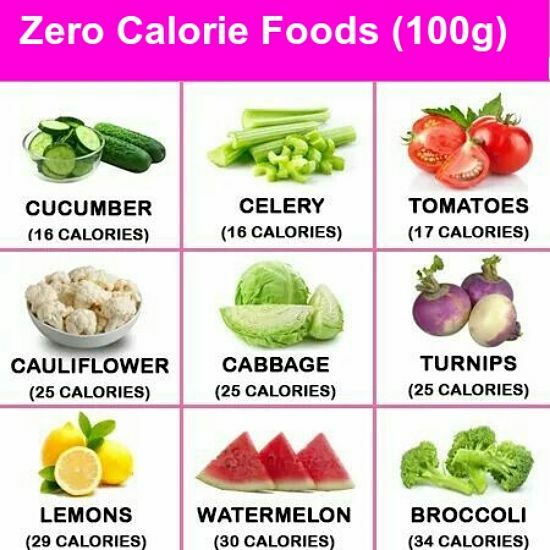 These foods may not really have zero calories whatsoever, but they are bulky foods with very low calories that fill you up. 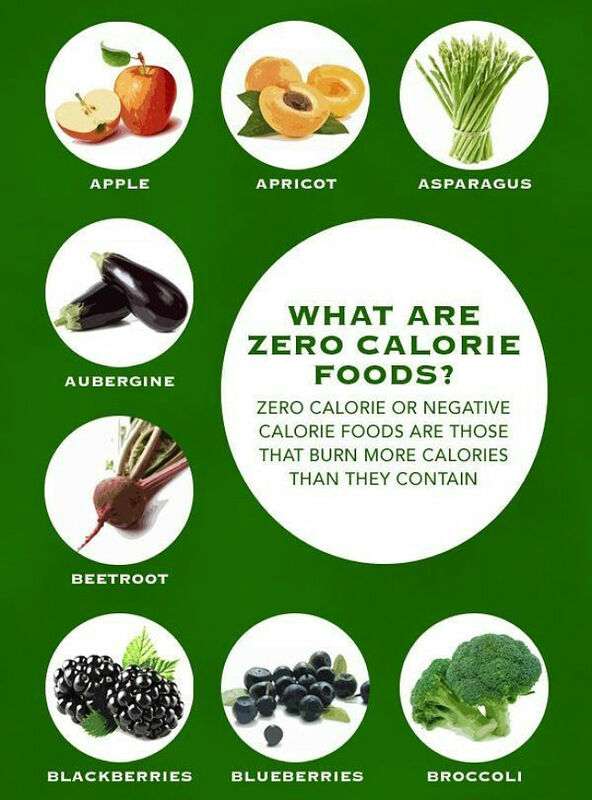 The term 'Zero' has been used to distinguish them from 'Low' Calorie foods which are often misnomers because the number of calories is still quick high (up to 100 calories per serve). For diabetes so called 'Free foods' have less than 20 calories per serve and less than 5 grams of carbohydrate per serving. They are considered 'free' because eating them does not raise blood sugar levels. These foods include asparagus, green beans, broccoli, celery, cucumber, lettuce, radishes, spinach and tomatoes. The classic example of a Zero Calorie Food is celery - 1 cup of diced celery only has 19 calories and a medium size stick of celery only has 7 calories. 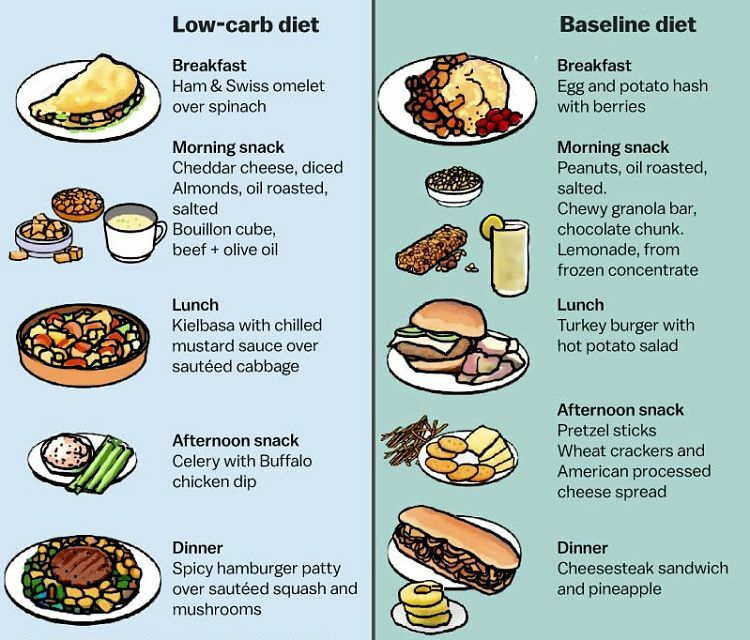 The idea low calorie foods for this use have low calorie densities - that is they have relatively low calories per volume and so they fill you up. 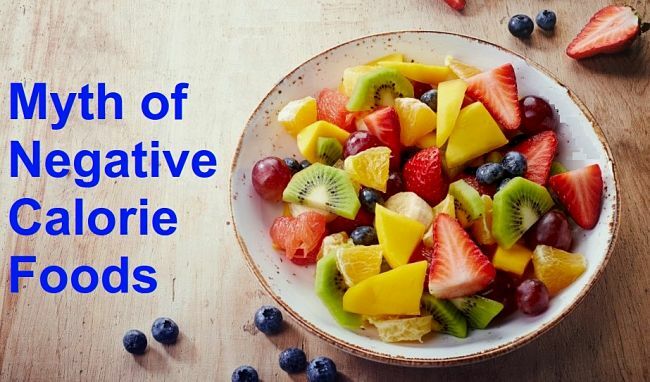 ( See Facts about Negative Calorie Foods - Calorie Density is What Matters Some people call these foods Calorie Negative foods because they say it takes more calories for your body to process and digest them that the food contains. This is a myth but nevertheless, they have very low calories for their volume and so they make ideal foods for frequent snacking and dealing with hunger pains. I had a male friend once who went on a diet by eating raw cabbage leaves between meals as a hunger suppressant - it worked, but I would not suggest you try it! One large cabbage leaf (33 gm) only has about 8 calories and a cup of shredded cabbage (70 gm) only has 17 calories (there are 24 calories in 100 gm of cabbage). Yes raw cabbage does suppress appetites but creates other issues! This article discusses how you can use Zero Calorie Snacks as emergency foods when you get hunger pangs and how the perpetual snackers can use them as low calorie alternatives to bread and fruit, which contain moderate amounts of calories (about 70-100 calories). For example, a single slice of plain wholemeal bread contains about 70 calories and white bread 66 calories. Add butter or margarine and peanut butter as a spread on toast increases the calories to 200-500 calories. A traditional peanut butter and jelly sandwich consisting of two slices of white bread, two tablespoons of peanut butter and two of grape jelly, may have 450 calories. One medium size apple or pear has about 90 calories, a peach about 45 and a nectarine about 70 calories. 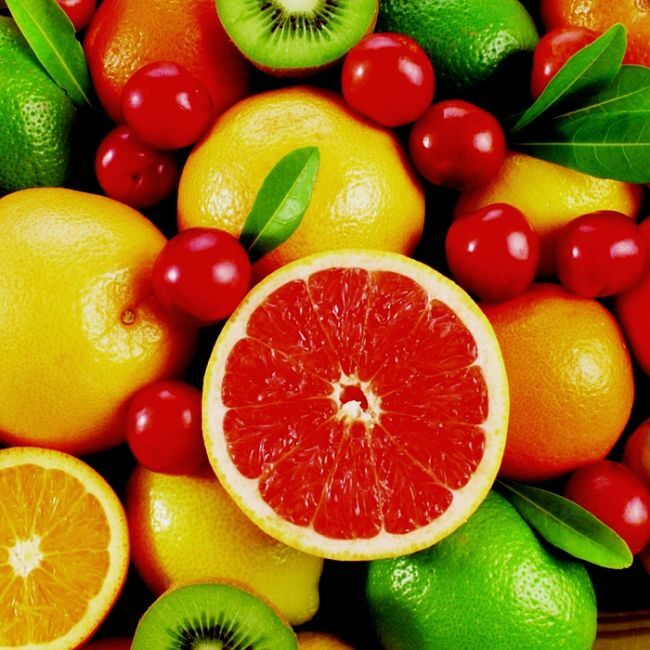 A banana has 94 calories and a large orange or grapefruit has about 85 calories. So while eating fruit between meals can be a healthy alternative to cakes, cookies and fast food snacks, the calories can add up. Research studies have show that more and more people are snacking. The percentage of adolescents who snacked daily increased from about 60% in 1977-78 to 85% in 2005-06, and the number of snacks eaten almost doubled from 1.0 to 1.7 times/day. The percentage of adults and adolescents who ate 3 or more snacks a day also doubled. On average, snack foods and beverages made up a quarter of daily caloric intake and was about 600 calories for men, 400 calories for women, and about 550 calories for adolescents. There are often good reasons to snack. Eating a small number of healthy snacks such as fruit keeps your energy levels up and helps controls your appetite, so you’re less likely to overindulge at meal times. Stress Snacking - When people get stressed for a variety of reasons, perhaps every day as the work level increases many people reach for the comfort foods to boost their sugar levels or simply to have a breaks. Snacking may prove a temporary relief, but it doesn't alleviate the stress level. The trick is to find another way such as going for a brisk walk or meditating. Just leaving your desk for a few moments help. The dangers of prolonged sitting are well known ( See: Activity Based Working and Getting Up, Active, Healthy at Work ). Snacking when you are bored - Some people snack not because they are stressed but simply because they are bored. The trick is to plan interesting breaks and things to do during the day so you don't get bored. Always have a set of alternative things you can do the break the boredom. Break the 'I'm Bored so I will Eat a Snack Cycle'. Change the way you regard food from a pleasurable break to a refuelling session. Before reaching for a snack take time to give a rating for your hunger on a scale of 1 to 5, and don’t eat unless it’s greater than 3. 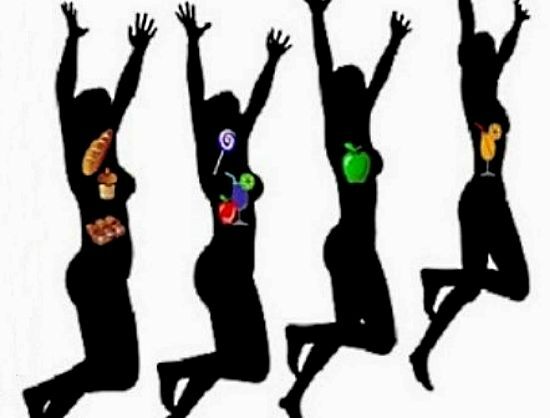 Conclusions - Snacking can be a beneficial when its under control and part of you diet plan. Try to eliminate the 'bad' forms of snacking, which generally mean snacking for the wrong reason. The other trick is to always have low calorie snacks or zero calorie snacks available as emergency foods. So if you do snack it is not going to blow you daily calorie allowance. This will stop reaching for the chocolate gar for fast food snack. There's nothing wrong with getting hungry between meals from time to time, especially when you are on a calorie controlled diet. It is important to realise that these preliminary feelings of hunger are fake false alarms and don't signal that you are about to collapse. Nevertheless it may be hard to carry on without the hunger distracting you. This is where the Zero Calorie foods play a role as emergency appetite suppressants. These foods will make your stomach feel like it's full of calorie-rich foods because its bulky but it contained very few calories. Your appetite will be suppressed. If when you feel famished and can't wait until your next meal, you eat two cups of cashews or peanuts this will relieve you hunger. But if you ate versus two cups of celery instead, your body will still feel satiated. However the celery only contains 35 calories, while the oil-roasted cashews may contain 1000 calories. The bulk or volume is the same 2 cups. A bonus is that the celery is rich in fiber and will stay in your stomach for longer. Fresh drinking water - Water is a very powerful appetite suppressant and if you drink one or two glasses of water when you start to feel hungry you'll often find that the hunger pang will pass or be postponed. Green Leafy Vegetables and Hard Vegetables - Leafy vegetables such as lettuce, bok choy, cabbage, snow peas, radishes, peppers, capsicum and green beans have high fiber and low calorie densities. You can consume these vegetables in a couple of ways. Many people don't like to eat them raw. You can spice them up by adding tiny amount of low-cal salad dressing or vinegar to lettuce and salad greens. This will only boost the calories by a small amount. You can also cook a mini-stir fry in a non-stick frying pan and add small amounts of onion and garlic. Just the snack has few calories does not mean it has to be boring or not satisfying. Smoothies - There are many low calorie smoothies you can make with low calorie fruit and soy protein powder. Just choose the fruit wisely. Physical Exercise - despite the fact that you are burning calories, exercising especially at moderate to high level is a great way to postpone your hunger pangs especially if you drink a lot of water. Apples - They have more calories than other options, but eating an apple will fill you up and there so convenient to always have available. Apples are good appetite suppressing foods because the fiber fills up your stomach and apples contain various vitamins, phytonutrients, vitamins, folic acid and minerals. 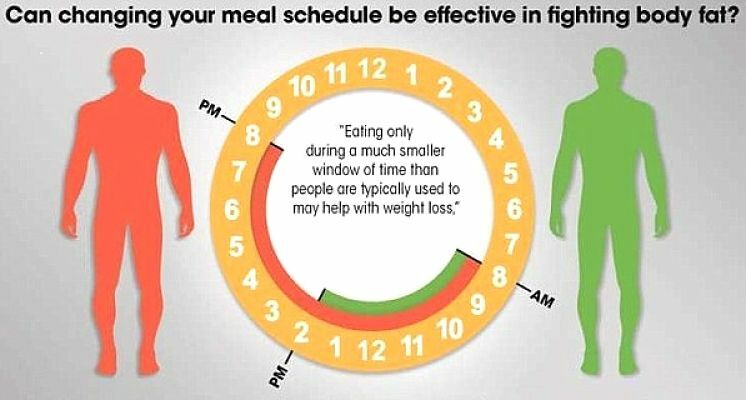 The Bottom Line - after an hour or so, depending on how much fiber you have eaten, your body will react to the absence of calories and you will start to feel hungry again. But by them it will be close to dinner or lunch time and so you will be able to hang on. Drink a couple of glasses of water. 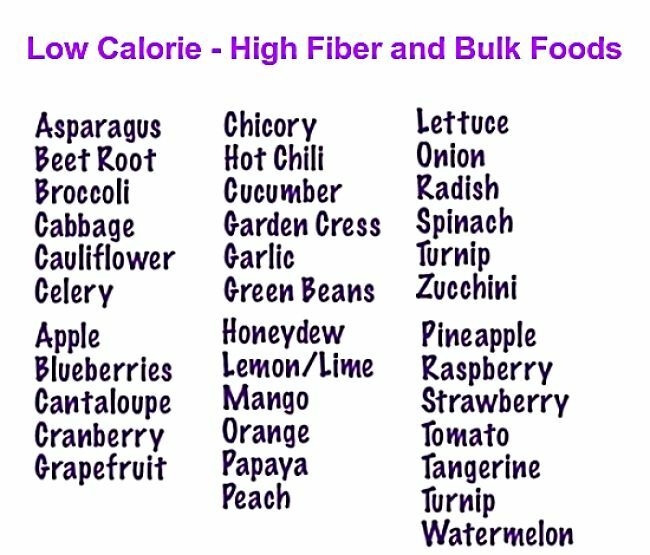 Shown below are 20 foods that have low calorie densities - that is they have few calories for their volume or bulk. The foods are listed from lowest to highest calorie densities (calories per 100 ml of volume). Shown in the table below are a range of snack foods listed by calorie content. The serving size is shown so that you can choose a snack that meets you requirement. Celery, 3 small stalks, 5 in.